Sean Gelael will partner European F3 champion Mick Schumacher at the Prema F2 squad in 2019. Sean Gelael will remain with leading Formula 2 outfit Prema for a second season, completing the team’s 2019 line-up. The Indonesian driver will partner new recruit and 2018 European Formula 3 champion Mick Schumacher at the Italian squad next season. 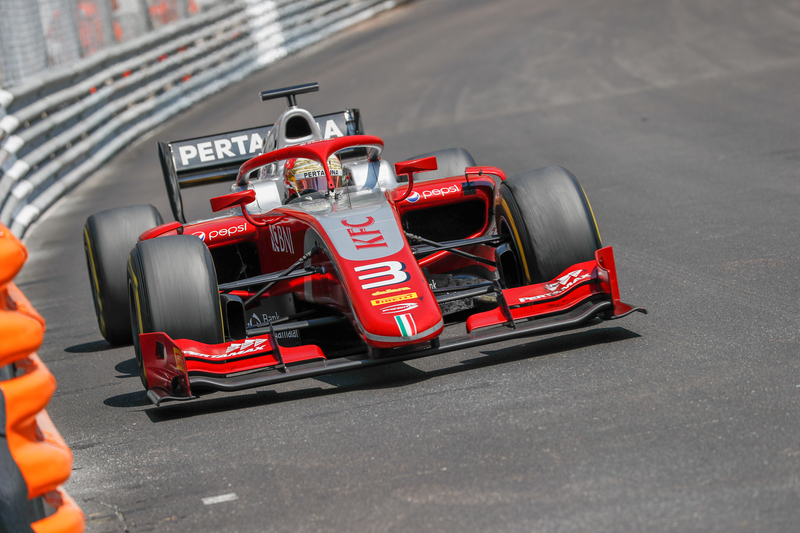 Gelael endured a difficult first campaign at Prema and finished a lowly 15th in the standings, though he did manage a second-place finish in the Monaco feature race, his only podium finish of the season. “This has been an up-and-down season but I want to say thank you for all the experience that we gained,” Gelael said. Gelael, who acknowledged his “up-and-down” season, is targeting a title push in what will mark his fourth full campaign in Formula 1’s direct feeder category. “The start of the year has been strong but from the middle onwards it turned a little gloomy,” Gelael said. “We know what we did wrong though, and what we need to do better and there's quite a lot of unfinished business. “I'm happy that the team put forward the trust in me to make an even better job next year. I just want to thank everybody involved. Prema team principal Rene Rosin added: “We are delighted to continue working with Sean for the new season. “He scored promising results in 2018 and also proved to be a really valuable asset for the team thanks to his true dedication. “He is the first driver to return for a second season since we started our Formula 2 programme so it will be interesting to understand the dynamics, but we are sure the benefits will be there as well as the results. “We want to help Sean show his real potential and we can't wait to start 2019."